This event has been cancelled. Refunds will be provided. Join us to learn more about one of the top priorities of the government today - Cyber Security and Information Assurance of government networks and systems. Budgets are growing and opportunities emerging in this space that are critical to ensuring national security. Small businesses that offer innovative solutions and value to customers can play a major role in this market. Learn how you can perform key roles in building and maintaining the secure systems of the future. Marcus Sachs is the Chief Security Officer of Pattern Computer, a startup in the machine learning and artificial intelligence field, where he is responsible for overall corporate security policy and strategy. He is also a Partner at RIDGE-LANE Limited Partners in the Technology Practice. 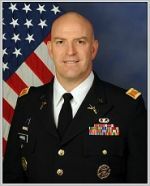 Marcus Sachs retired from the United States Army in January 2002 after serving a distinguished 20-year career as a Corps of Engineers and systems automation officer. He specialized during the latter half of his career in computer network operations, tactical communication systems, and the application of secure information technology to the defense environment. 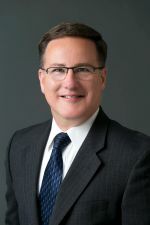 In 1998, he was selected to serve with the Defense Department's Joint Task Force for Computer Network Defense (JTF-CND), a unique organization created to defend the department’s computer networks from foreign intrusions. In February 2002 Mr. Sachs was appointed by the President to serve concurrently on the staff of the National Security Council as the Director for Communication Infrastructure Protection in the White House Office of Cyberspace Security, and on the staff of the President's Critical Infrastructure Protection Board. In May 2003 Mr. Sachs joined the National Cyber Security Division of the US Department of Homeland Security as the department’s first Cyber Program Director, where he was responsible for developing the implementation plan for the National Strategy to Secure Cyberspace. While at the White House and DHS he proposed and developed the concept and early design for the United States Computer Emergency Response Team (US-CERT), launched in September 2003. Mr. Sachs’ private sector experience includes serving as the Deputy Director of SRI International’s Computer Science laboratory, as the Vice President for National Security Policy at Verizon Communications, and as the Senior Vice President and Chief Security Officer of the North American Electric Reliability Corporation (NERC) where he directed the rebuilding of the Electricity Information Sharing and Analysis Center (E-ISAC). He served on the Executive Committee of the US Communications Sector Coordinating Council, was the Vice Chair of the Communications Information Sharing and Analysis Center (Comm-ISAC), and has held leadership roles in several public/private advisory working groups and task forces. In November 2007 Mr. Sachs was named a member of the Commission on Cyber Security for the 44th Presidency. Mr. Sachs directed the all-volunteer SANS Internet Storm Center from 2003 - 2010 and remains actively involved in efforts to raise cyber security awareness and to professionalize the cyber career field. He has testified before the Federal Communications Commission, the Federal Energy Regulatory Commission, and the United States Congress. He holds degrees in Civil Engineering, Science and Technology Commercialization, Computer Science, and is “All But Dissertation” on a Ph.D. in Public Policy. He is a registered Professional Engineer in the Commonwealth of Virginia, and was named a Distinguished Member of the US Army Signal Regiment in 2017. COL Chad Harris enlisted as an infantryman in the Army in 1994 and was later selected to attend Officer Candidate School at Fort Benning, Georgia. LTC Harris was commissioned in 1995 as an Armor Officer, where he served as an armor platoon leader and armor company executive officer in 2nd Battalion, 34th Armor Regiment, 1st Brigade, 1st Infantry Division at Fort Riley, Kansas. COL Harris later served as the aide-de-camp to the ADC-M 24th ID at Fort Riley, Kansas. After attending the Armor Officer advance Course, COL Harris served as the M Company Commander, and later, the Headquarters and Headquarters Troop Commander in 3rd Squadron, 3rd Armored Cavalry Regiment at Fort Carson, Colorado. He deployed to Iraq in April 2003 as the HHT Commander during OIF 1. After returning to the US, COL Harris served as Observer/Controller Team Lead, training National Guard and Reserve units for deployment to Iraq. COL Harris joined the Acquisition Corps in 2005 and attended the Naval Post Graduate School, graduating in 2006 with a Master’s in Business Administration in Defense Systems Acquisition Management. He served as a Test Officer at US Army Operational Test Command (USAOTC), Fort Hood, Texas working on engineer equipment to include the Mine Resistant Ambush Protected Vehicle (MRAP), the MRAP Ambulance, and the Line of Communication Bridge. In 2009, COL Harris returned to Iraq as a Team Chief on the Army Test and Evaluation Command’s Forward Operational Assessment Team (FOA XII). Upon his return to the US, COL Harris served as the Assistant Product Manager (APM) for Maneuver Support in the Robotic Systems Joint Project Office (RSJPO) in Warren, Michigan. While serving as the APM, he managed the Talon Engineer Robotic Systems, and the M160 Light Robotic Flail System. In 2011, COL Harris was assigned as Commander, Yuma Test Center (YTC) where he commanded one of the Army’s largest test centers. While at YTC, he led an organization comprised of 1500 Soldiers, civilians, and contractors responsible for testing a wide variety of equipment from artillery and armor systems, to unmanned aerial systems to counter IED systems. After leaving YTC, COL Harris became an Army War College Fellow conducting strategic studies at the University of Texas, Austin. In 2015 COL Harris was assigned to the Pentagon, as a Lead Requirements Analyst on the Joint Staff J8. COL Harris was next assigned to Program Executive Office (PEO) Enterprise Information Systems (EIS) as Project Manager (PM) Installation Information Infrastructure Communications and Capabilities (I3C2) in August 2017. Six months later, COL Harris spearheaded an organizational realignment, and transitioned I3C2 to what is currently PM Defensive Cyber Operations (DCO). His awards include the Bronze Star with “V”, the Bronze Star, the Meritorious Service Medal, the Army Commendation Medal, the Army Achievement Medal, and Parachute Badge. LTC Harris is from Sparks, Nevada. He is married to April Avila Harris, together they have a 9 year old son Gryffin and a 5 year old son Austin. Need an Incentive to Join SECAF? Join Today to Save 2 Ways - $90 Savings!